This was posted under Simple Super Bowl Sunday Supper. Combine first 3 pesto ingredients in bowl of a food processor. 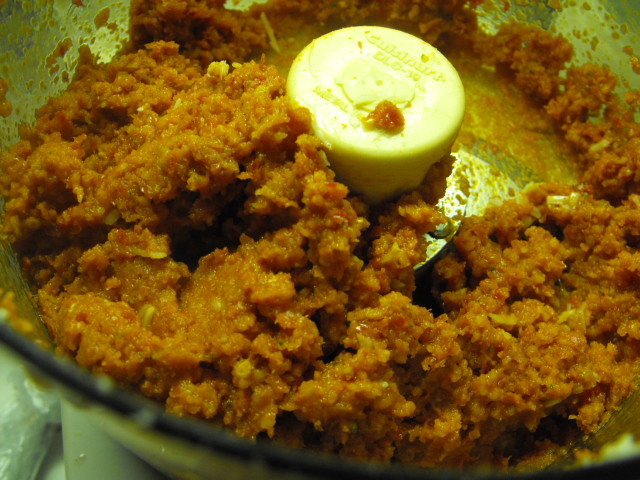 Process until ingredients are reduced to crumbles. 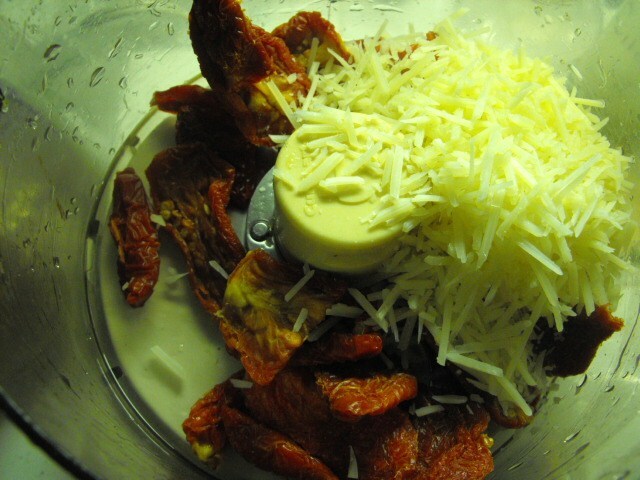 With processor on, drizzle in olive oil until the ingredients merge into a paste. Blend in butter and process until smooth and spreadable. 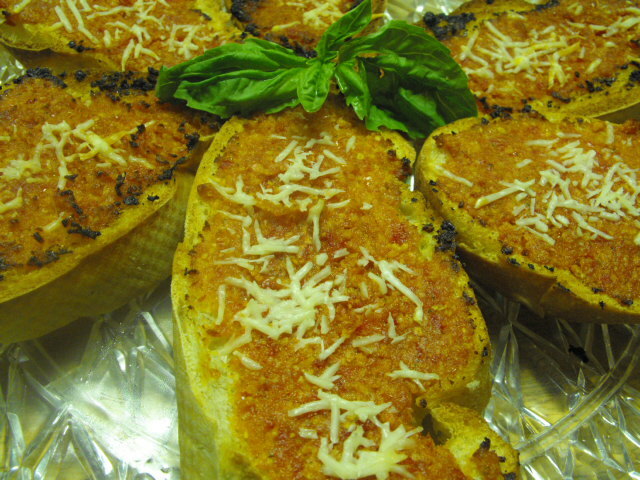 Drizzle olive oil over bread slices and toast under broiler until golden and crispy. Remove and spread pesto on each. 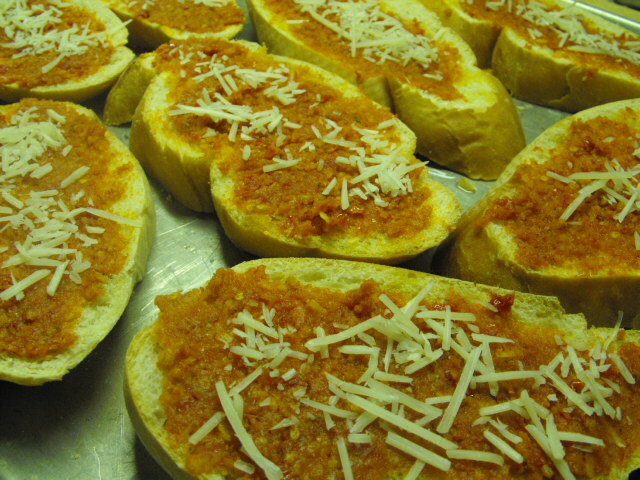 Sprinkle with cheese and broil until cheese begins to melt and bruschetta are toasted, approximately 5 min. Serve immediately. Makes app. 16 individual servings.